Firstly before I get into the review how do you feel about this being headed 'Product Fail'? I know there's a lot of talk in the beauty blogging world about bloggers only providing rave reviews. I'm quite happy to share with you the good and the bad from my perspective but wonder whether I should just leave it as a review or highlight as it being a fail for me - do let me know your thoughts. I have oily eyelids which do not like cream eyeshadows. I always found myself disappearing into the toilets and having to do a finger blend to creases in my eyes whether I've used Mac Paint Pots or otherwise. Obviously I see more longevity with powders but the pesky creases will still rear their heads. 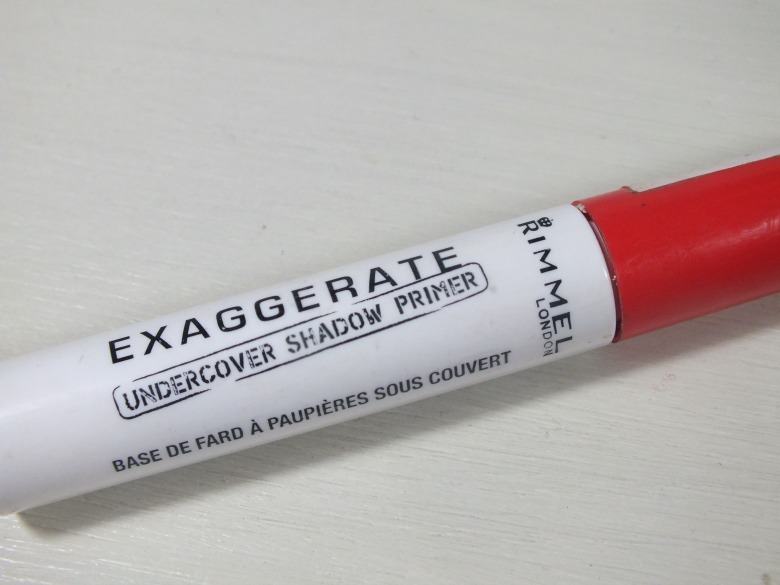 I'd heard some positive reviews of Rimmel's Exaggerate Undercover Shadow Primer and for £4.99 I thought it was worth trying before the more costly Urban Decay and/or Nars versions. To keep things short this product did not work for me at all, if anything my eyelids felt oilier after use and I saw no difference with my eyeshadow lasting on the lids. I'm sure we're all familiar with the various primer formulas and this falls in the the silicone which whilst works for face priming, for my eyelids it's a no no. On the plus side its said to be similar in formula the Nars Smudge Proof Eyeshadow base so I'll also be staying away from this. Since this experiment I have turned to the Urban Decay eye primer which works a dream. Recently a friend asked for eye primer recommendations and I gave her a sample of the Urban Decay one and the tube from Rimmel so I could have a second opinion - she was of the same as me. The Rimmel has been dumped in the trash, she has joined the Urban Decay eye primer club and we're both enjoying our eye shadow lasting all day, no creasing. If you've had better luck with Rimmel do let other readers know, and if you're of the less oily lidded persuasion you may see better results. More importantly if you know of a cheaper primer than Urban Decay's that works do let me know, anything to save the pennies. I started reading blogs to get honest opinions on products, so it's definitely helpful. Obviously things work better on some people than others, I for example, don't get along with LE Cleanse & Polish or YSL touche eclat, but I know I'm in the minority! So your honest opinion is really appreciated. Glad to help. 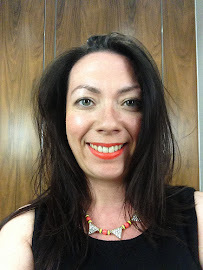 I find I'm so often underwhelmed by products and whilst I think beauty and skincare is ultimately down to the user's preferences I like to say it how I found it. I eye that little primer every time I head into a drugstore! I've been curious about it for ages and now I know to not even bother! Thank you!! This was such a helpful review! I say, keep up with the negative reviews, I think they're more helpful than rave reviews! Thanks for the comment, I'm so grateful for reviews that can be negative because it definitely helps when making my own purchases. I am so glad you did a post on this, I was just about to purchase it tbh, glad I didn't. I like the elf primer tbh.